Complete all-round protection for your PC. From essential antivirus protection to the very best in cleaning, VPN and password management. Stay anonymous online, block annoying ads to speed up your browsing, and secure your personal info. Speed up your PC, remove junk files, and solve issues before they become real problems. Get your software and devices working as they should, by keeping your drivers automatically updated. Know who’s tracking you and when. Disguise your digital fingerprint to stop advertisers from profiling you. Even a Mac needs protection. With 2 levels of security, great cleaning tools, as well as a VPN and password protection, this is your one stop shop for your Mac. Scan your Mac for space-hogging junk files and delete them with just a few clicks. Here’s everything for your Android, all in one place. Protect it, clean it, keep your passwords secure, and browse privately with a VPN that works across all your devices. Secure mobile banking, shopping, and emailing, with the world’s most trusted antivirus. Encrypt your Internet connection with a single click, to get full online privacy. Protect all your accounts with one master password, and log in quickly and securely. Remove disposable files, caches, or thumbnails, and win back space you never knew you had. Keep your iPhone or iPad working as you need it to. Find duplicate photos, keep your passwords secure, and stay anonymous with an easy-to-use VPN. You’ll find it all here. 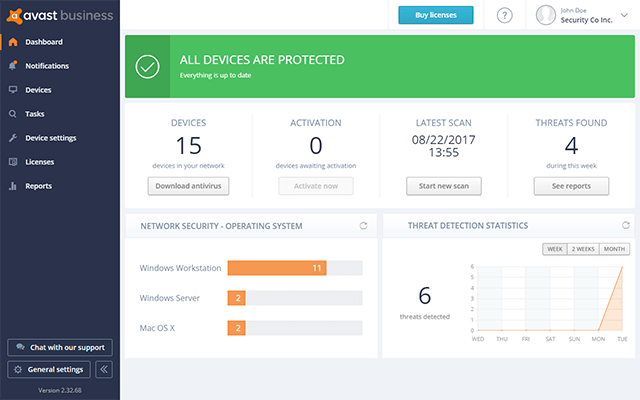 Whether you are an enterprise or start-up, make sure you're covered with the fastest protection powered by the world largest threat detection network. Quality remote support service for your clients. Includes managed antivirus, centrify identity service, backup & disaster recovery, NOC & Help Desk, Premium Remote Control. A cloud security solution protecting multiple clients anywhere. With CloudCare, you have the rapidly-deployable, simplified, pay-as-you-go service that will give yourself and your clients the productivity you need to stay competitive in today’s market.